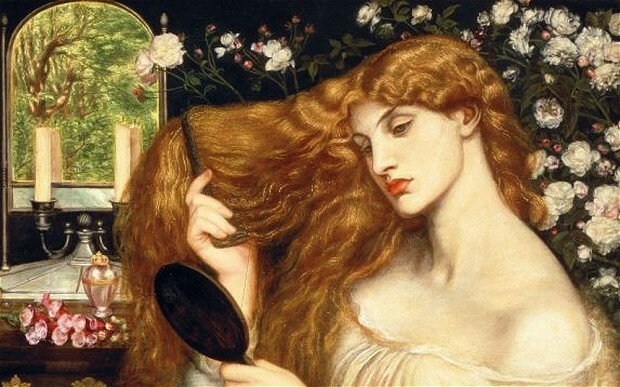 The Pre-Raphaelites are everywhere at the moment – on hoardings, on TV, in books and magazines, it seems as though we have revived our love affair with the decadent colours and lush imagery of the Victorian painters – and even those who hate them (and there are plenty who do) still seem to find them interesting. 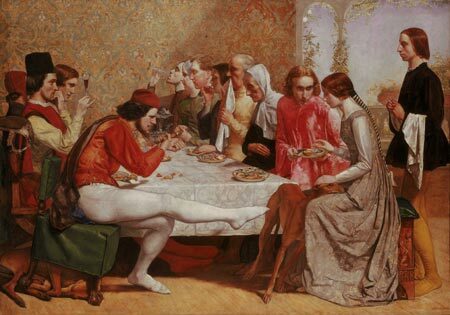 If you are a fan, you may be a member of the Pre-Raphaelite Society, which is celebrating 25 years of existence this year. The Society aims to promote the study of and interest in Pre-Raphaelitism, and is an international society with members all over the world. It’s open to everyone – there are members who are just interested, to serious collectors and academics, so the aim is to cater for everyone. The society holds a series of lectures in Birmingham (details of which are here) as well as trips to places or exhibitions of Pre-Raphaelite interest. I joined the society in 1998, as a postgraduate student writing on The Germ, the Pre-Raphaelite magazine, and in 2004 I took over as editor of The Review, which I (mostly) very much enjoy. I find it fascinating to see ways in which modern scholars are reinterpreting works which were out of favour for much of the twentieth century, and, from the rehabilitation of Millais’s reputation to the growth of interest in women Pre-Raphaelite artists, the landscape has changed considerably since the society’s founding. We are celebrating the founding of the society, and indeed the founding of the Pre-Raphaelite Brotherhood, on Sunday 8th September with #PRBDay on Twitter. Please come and vote for your favourite Pre-Raph painting, by tweeting it to us @PreRaphSoc. I will be counting votes and posting Pre-Raph quotes and links all day, and look forward to meeting some of you virtually then. Last year’s winner was Millais’s Ophelia (top image), and I’m looking forward to finding out which painting will win this year. Receipt of The Review the Society’s principal publication, published three times a year and dated Spring, Summer and Autumn. The Review contains articles, book reviews, illustrations and “Notes and Queries”, and offers the opportunity for all members who are interested in research and writing to contribute in a very satisfying way to the Society’s life. Also, we are very nice, friendly people who look forward to welcoming you to the Pre-Raphaelite Society!